A designer from New Zealand appears to have been bitten by the vampire bug in promoting her new eyewear line. The Press reports how Karen Walker"s new range, Celebrate the Sun, is being advertised by photographs of models with vampire teeth. Reportedly, this is in order to show that even sun-avoiders will enjoy wearing the sunglasses. Photographs for the drive for the 31-piece strong line have been taken by New York photographer Derek Kettala. The designs have large lenses and several of them carry colourful, wide frames. 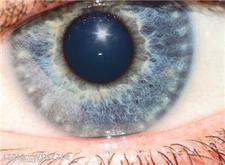 Lenses themselves may also have a coloured tint and the shapes vary. According to the Karen Walker website, famous customers include singer Beth Ditto, who was seen sporting the Hector design at the Brit Awards and Glastonbury Festival last year. Craig Nicholls, lead singer of the Vines, has also been seen wearing a Karen Walker creation called Sir Bookie in a video clip.